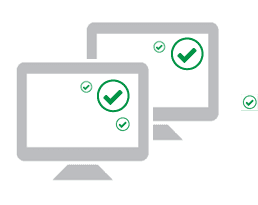 Eliminate the hassle of installing and updating popular products across your enterprise. Software Updater updates your applications while you sit back and relax. 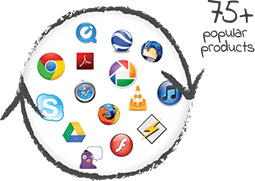 Automatically install and update 75+ popular products. Completely non-disruptive with flexible maintenance options. Eliminate security threats by keeping software always up-to-date. Automatically update products like Google Chrome, Mozilla Firefox, Adobe Reader, Java and other popular products. 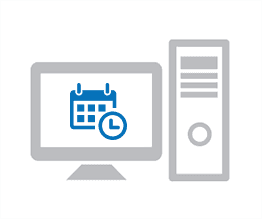 Manage endpoints across multiple locations from a cloud-based management console to apply software updates efficiently. Manage all software updates automatically through silent install. There is no manual intervention necessary while the software is installed and updated in the background without annoying popups or dialogs. Generate detailed reports to check if the latest version of the software is installed across your organization. Quickly deploy the latest updates automatically from a simple, easy to use interface. Avoid downloading updates manually, save time and valuable Internet bandwidth. Efficiently deploy software across multiple locations automatically. Automate maintenance with secure, pre-scheduled tasks. Ensure only the approved applications get installed throught the enterprise. 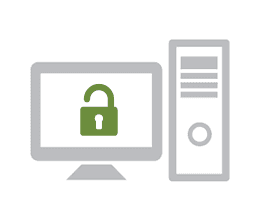 Keep computers across your enterprise secure by updating software to the latest version. Check if the installed software is updated to the latest version and take immediate action if necessary. Drill-down to a particular computer to evaluate if the installed applications are up-to-date. Update software in the background and keep users secure. Set a date, time or repeated frequency for the software updates to install. Allow the maintenance task to automatically Thaw Deep Freeze. Automatically install and update popular products and return computer into a Frozen state with all applications fully updated.